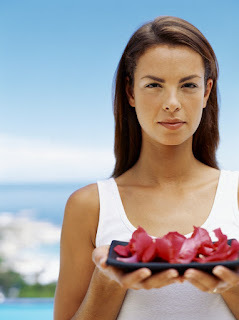 Do You Have Clients Interested in the Ayurvedic Lifestyle? Download This Free Resource to Help Them Out! The team at Shankara Ayurveda Spa at the Art of Living Center has created a free e-book for those interested in an Ayurvedic Lifestyle called Ayurveda 101. This is a great resource to gain insight on what living and Ayurvedic Lifestyle means, and how each of your clients can live life to their fullest potential. There are many spas offering Ayurvedic treatments, but your clients might not understand all of the benefits this lifestyle can offer them. This is a simple-to-understand guide to help you and your team be able to effectively express the meaning of Ayurveda and all of the impact it will have on their life. If you are looking for some great Ayurvedic Spa Treatments to offer your clients, look no further than Pure Spa Direct! From Ayurvedic Skincare to Traditional Ayurvedic Treatments such as Shirodhara, we have it all! Are you looking to intrigue your clients by adding a brand new service to your spa? One that enriches the mind and brings emotional balance? How about one that dates back nearly 5,000 years ago?! Incorporate the ritualistic healing of Shirodhara into your spa, which stems from Ayurveda, an ancient natural healing process from India. Here at Pure Spa Direct, we offer a plethora of products from Ajara Ayurvedic Beauty to help you facilitate this treatment! Shirodhara is a form of therapy that involves gently pouring various liquids over the forehead for relaxation purposes. Think of it as a massage for the mind! 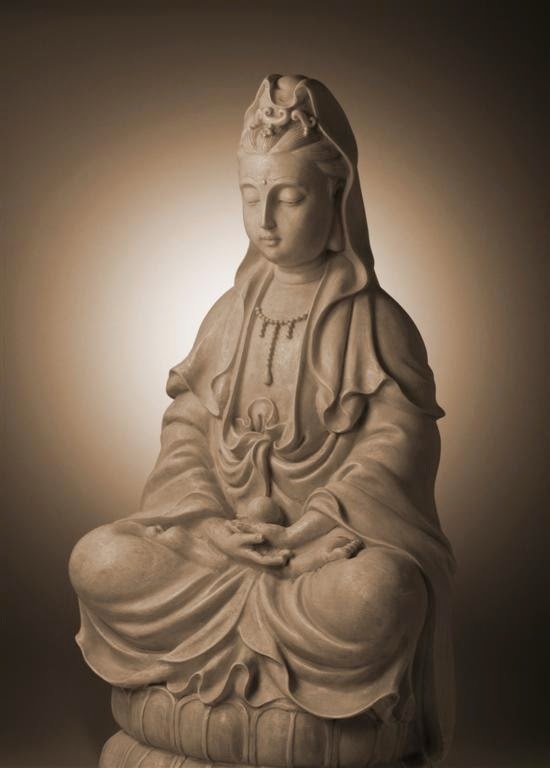 The term actually stems from the sanskirt words shiro, which means head and dhara, which means flow. Aside from completely relaxing your client, this therapeutic process is also said to rejuvenate the face, as well as relieve anxiety, depression, and insomnia through natural serotonin, dopamine, and melatonin release. It can also help synchronize alpha brain waves, enhancing blood circulation to the brain to improve mental clarity. Now that's my type of treatment! 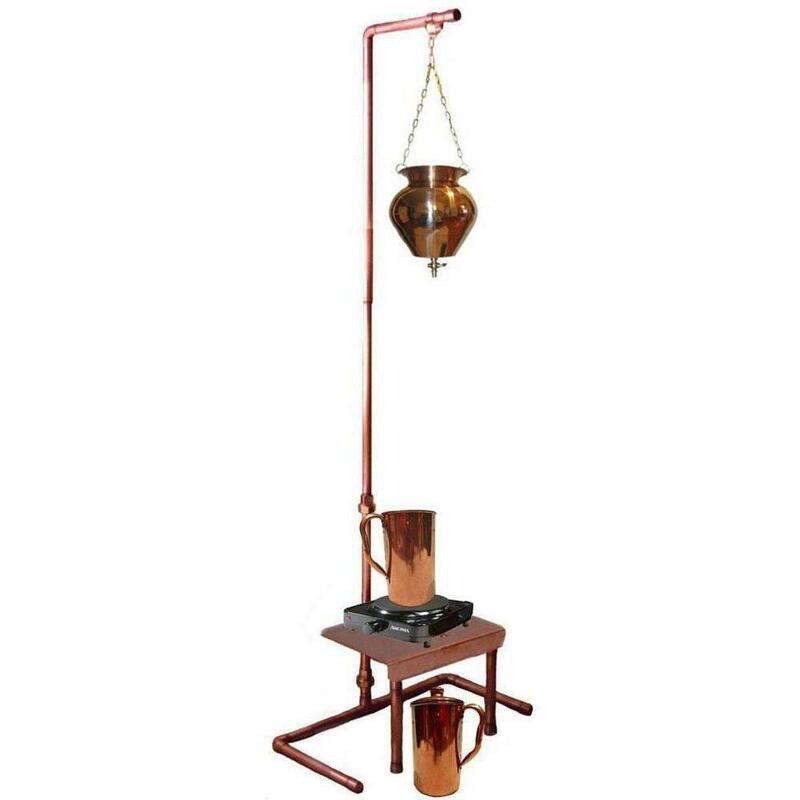 To get started, check out the Copper Shirodhara Stand, which comes complete with everything you need to introduce your spa to this new treatment! 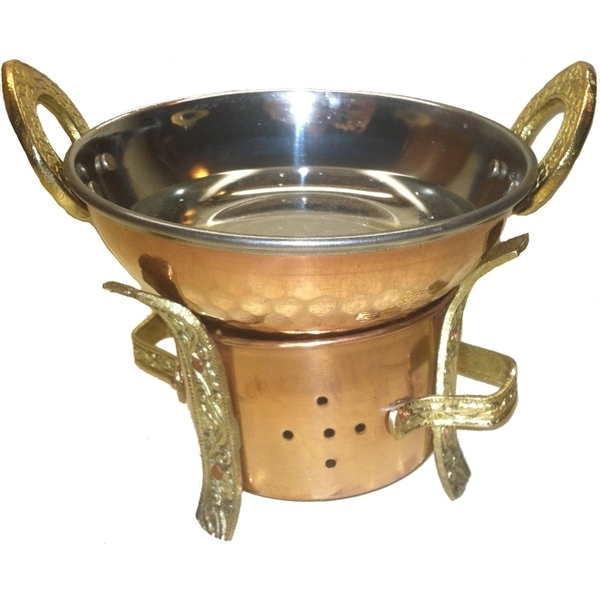 This is the traditional system for giving a shirodhara. Fully hands on, the flow of oil comes from the copper pot, onto the person's third eye, down the hair and vinyl strip, and into the warming pan, where the flow continues with the shirodhara therapist re-pouring the warmed oil back into the copper vessel. While this method requires skill and an ability to quiet one's own mind, it is the most energetically positive way to give a shirodhara treatment. 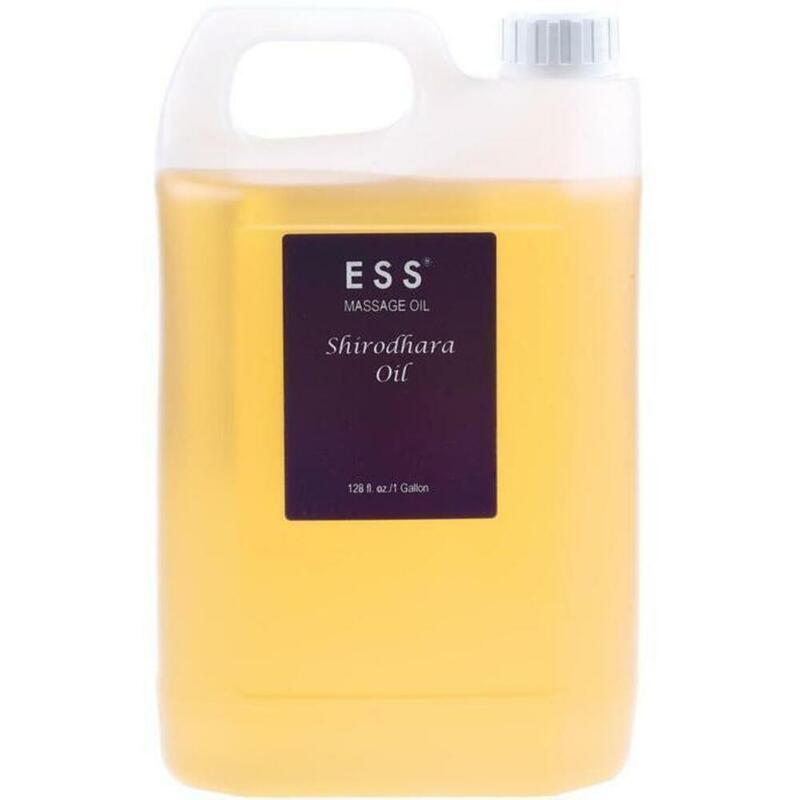 This treatment requires oil, so to get started, this all natural Shirodhara Oil is your best bet. The natural conditioners from organic sesame and sunflower oil, as well as several herbs to calm the senses, make this oil perfect for a deeply soothing treatment. 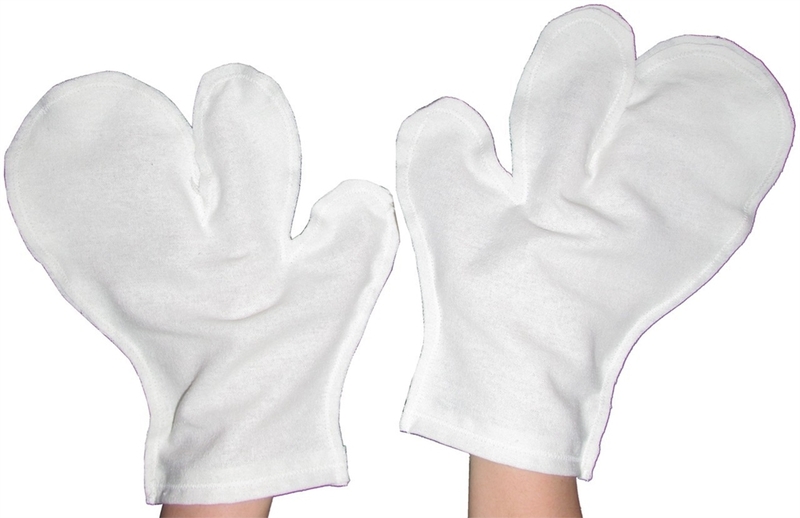 To complete your treatment, you are definitely going to need a pair of these gloves! These Raw Silk Garshana Gloves are washable and reusable, and come in a handy carrying pouch. Perfect for your treatment! Is your spa completely brand new to this treatment? Educate your workers on this ancient healing method with this informative Ayurvedic Spa Treatments DVD. It is great for teaching your technicians on how to evaluate their clients and perform a variety of Ayurvedic treatments! In a world where everthing has turned high-tech, once in a while you can achieve something amazing by going low tech. In this case, I'm talking about 5,000 year old low tech... with a copper Ayurvedic Massage Oil Warmer. 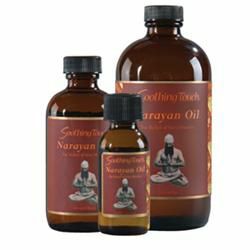 Of course this can be used with all massage oils, but it is the ancient Ayurvedic origins that makes it cool. Well, and the fact that it just looks interesting in your massage rooms! Just fill the copper bowl with your favorite massage oil, light a tea light candle below, and you are ready to rub and roll! The open bowl design makes it easy to use and the aroma of your oil of choice fills the room!